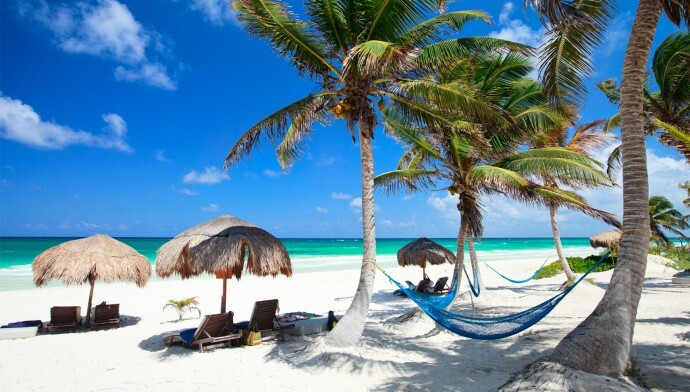 The Dominican Republic is one of the prime vacation spots in the Caribbean. Not only does it have all the pleasures of a tropical paradise, but the country boasts of lush savannah environments and even the tallest mountain in the Caribbean. 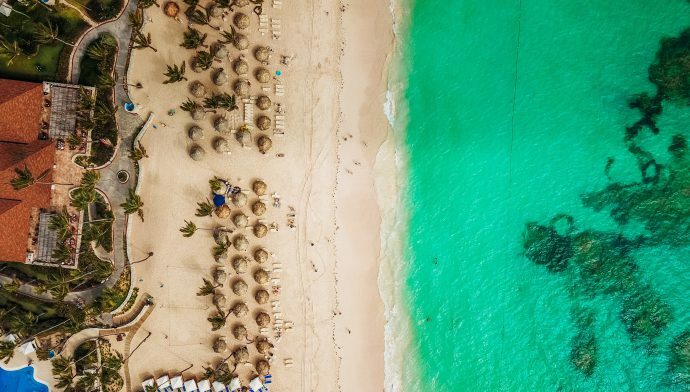 Cheap flights to the Dominican Republic are easy to come by when you book with Fare Buzz, so there's no reason not to experience your dream vacation. The Dominican Republic has everything you need to relax: Gorgeous beaches, delicious cuisine, historical monuments and rich botanical wonders. To enjoy it all, you just need a pair of cheap tickets for you and your loved one. If you're looking for cheap airfare to the Dominican Republic, you've come to the right place. We have the lowest prices available on flights to the Dominican Republic plus hotels, cars and even complete vacation packages. When you book with us, your trip is sure to be enjoyable and affordable. Our wholesale contracts with 500 major airlines mean that no matter who you fly with, you'll get the best deal possible. So why wait another minute to take a relaxing vacation in the Dominican Republic? 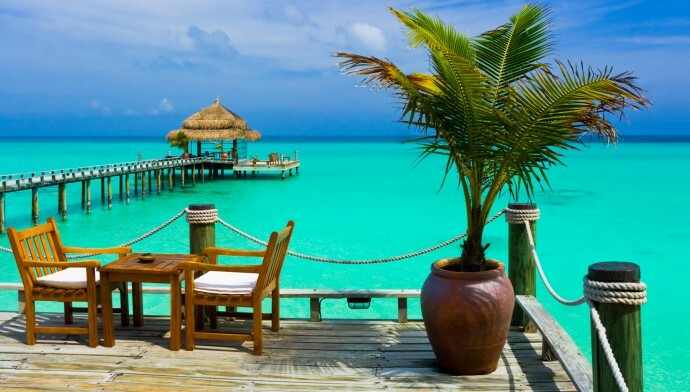 It's time to get away from the stress of everyday life and relax on the beach with a cool drink! Book your cheap flight today! The island has a rich history that goes all the way back to the beginnings of the Americas. Christopher Columbus landed on the island during his first trip in 1492 and there has been a European influence on the island ever since. For that reason, the Dominican Republic is home to many historic forts, cathedrals and monuments. But that's to say nothing of the island's stunning natural beauty. From hidden coves to tropical mountains, the natural wonders of the Dominican Republic offer a little something for everyone. Punta Cana and the Bavaro area are home to many inclusive resorts that cater to couples and families alike. A stay on this eastern point of the island is a magical experience for all. You can go snorkeling, whale watching, or just lay by the ocean and soak up some rays. Punta Cana even has kayaking, zip-lining and sailing. Consider flying into Punta Cana International airport (PUJ) for a quick arrival. From the United States, the flight is short and easy so you can get to your hotel and relax as soon as possible. In no time, you'll be enjoying a refreshing drink, wiggling your toes in the white sand and luxuriating in the hospitality of Punta Cana. No matter where you go in the Dominican Republic, you're sure to find something that suits your needs. For some, this might be as simple as breathing in the tropical air and indulging in the Dominican cuisine. For others, it might be a little more adventurous. Visiting the clubs of Santo Domingo is a highlight for many, while some people enjoy exploring the Spanish ruins and towering cathedrals. City life, nature and the all-inclusive resort come together in the Dominican Republic. Even those on a short trip will be able to recharge and revitalize. And with the best deals from Fare Buzz, the adventure doesn't have to dig into your pocketbook. For the best rates and fares, give our travel experts a call today. Fare Buzz is known for having top quality customer service. Our staff members go above and beyond when it comes to helping clients book travel and find the best airfare deals. When you call us, you know you're getting a cheap flight to the destination of your dreams. Afterwards, you'll wonder why didn't call sooner! When you want to fly in style - without hurting your budget - call Fare Buzz.